England has the potential to have the lowest disease burden in the world, according to a major study published last Tuesday. 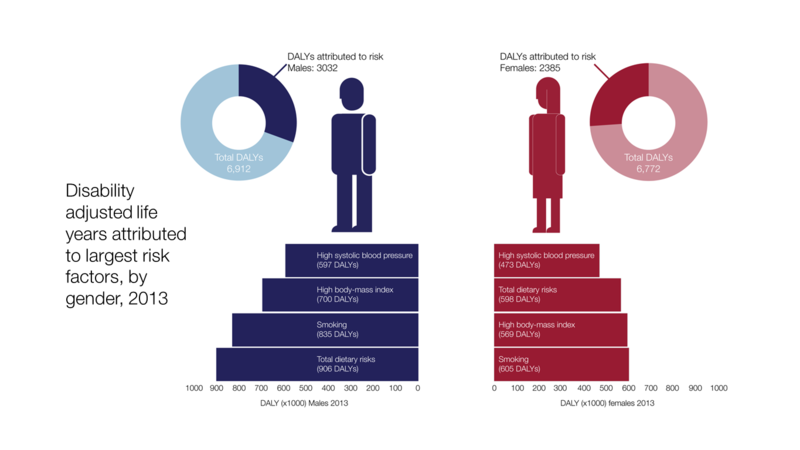 The PHE-led project, published in The Lancet, ranks the diseases and risk factors that cause death and disability in England compared with other high-income countries. PHE’s John Newton blogged about what the disease burden means in England and you can also read a new blog published to explain a useful new data tool that accompanies the study. On Thursday the Chancellor announced £350m investment to be made in public health science with the creation of new world-class public health labs in Harlow. What role can e-cigarettes play in tobacco control? 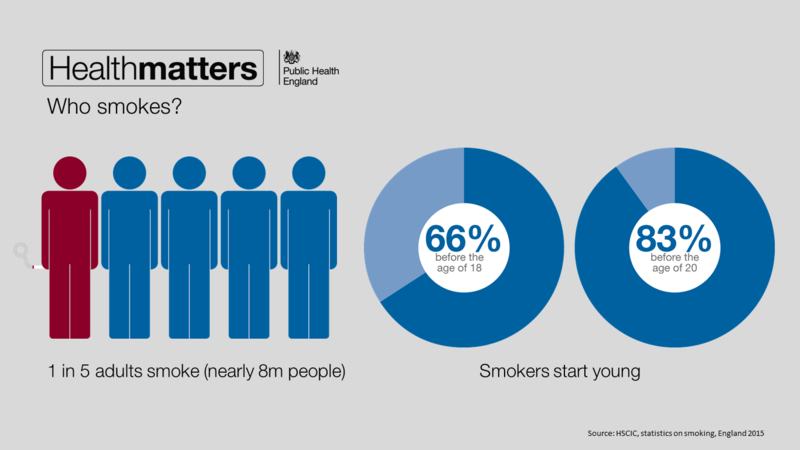 This is a complex question to answer, but it’s precisely because it’s complex that Public Health England needs to set out its position, informed by the best evidence we have to date. On Friday @ProfKevinFenton blogged to outline some broad principles which underpin our work and provide a guide to future work in this area. New PHE research shows the proportion of cancers diagnosed as a result of emergency presentation at hospital has decreased. PHE’s Julia Verne took a closer look at the data in a new blog. This week we published a series of resources to help local authorities address health inequalities at local level. They included Practice Resource papers, commissioned by PHE and produced by Professor Sir Michael Marmot’s team at the UCL Institute of Health Equity and a series of written and visual stories illustrating peoples’ lived experiences of health inequalities. PHE’s @connollam blogged to discuss how we can address inequalities at local level. 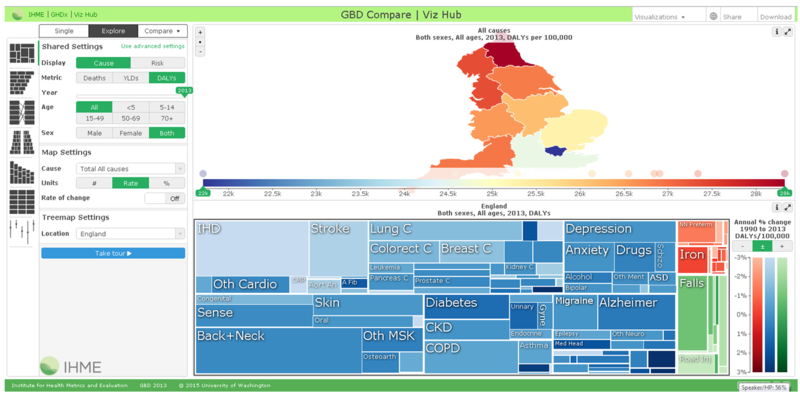 On Friday Public Health England, NHS England and NHS Right Care launched the third and biggest NHS Atlas of Variation in Healthcare to help commissioners, service providers and health professionals deliver the best healthcare. As mentioned as part of the Global Burden of Disease item above, this week we published a new online data tool which for the first time enables you to rank the burden of disease for 306 conditions from 1990-2013 by region and deprivation, along with the relative impact of 79 different risk factors. All data is specifically for England and ‘burden’ of disease is measured by Disability Adjusted Life Years (DALYs) that place values on the years of life lost to disease and the years of life lived with disability as a result of disease, and combines the two. Find out more in this Q&A blog. Later this month we're relaunching Antibiotic Guardian, an ongoing campaign first launched in September 2014 which encourages members of the public and healthcare professionals to make a pledge and state how they will help to conserve our antibiotics. PHE’s Diane Ashiru-Oredope blogged about the issue this week. 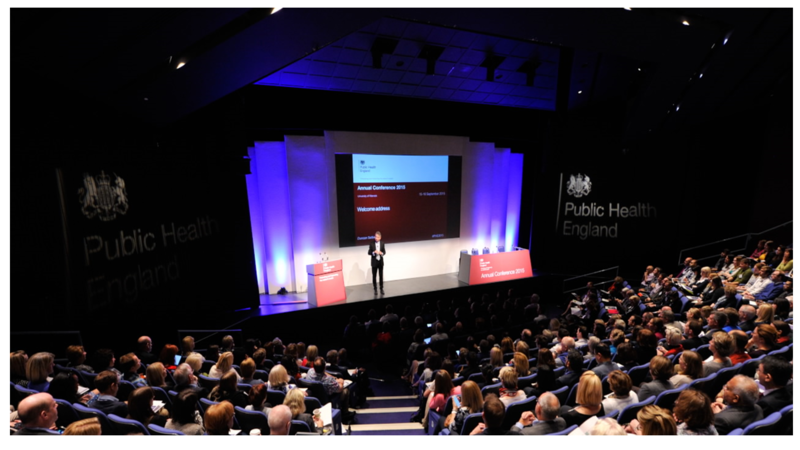 The online discussion was lively, with the conference hashtag #PHE2014 appearing in messages Tweeted or shared by over 2,200 people or organisations. Get more information from the conference website or take a look at the discussions using the conference hashtag.